You are here: Home > Ryan is the October JJ Fan Of The Month! Congratulations to Ryan – he is the October JJ Fan of The Month! 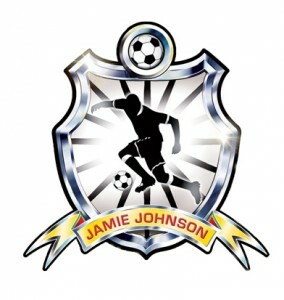 What makes you a massive Jamie Johnson fan? :- I love football! The books are inspiring to read and make me want to go out there and play. How did you discover the JJ Series, and how old were you? :- I discovered the books as really like watching the TV Series on CBBC. I was 11. Why do you like the books? :- I like everything about the books – particularly the fact that Jamie will never stand down to people who are bigger then him, and he isn’t scared to try tricks. If you could be one JJ character for a day, who would it be? :- I would be Mike, as he loves football to bits, and he’d never miss any of Jamie’s games. What is your favourite JJ book and why? :- My favourite book is Final Whistle, because during it, he has a choice; either the easy option – to never play again – or to fight through the pain. If you wrote a JJ book yourself, what would you call it and what would happen? :- It would be called “The Life Of A Young Professional.” It would be about all the hard times he went through. Did you watch the recent World Cup? If so, which of the matches was your favourite and why? :- My favourite match was Spain vs Portugal as neither team gave up and, at all times 100% focused. Jamie has a tough decision to make in World Class – the chance to play for either Scotland or England at the World Cup. Who would you have picked and why? :- I would picked the place I was born. They may not be the best, but it’s not all about winning. 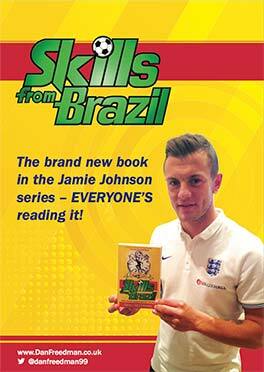 Do you watch the JJ TV Series on CBBC? If so, which of the series has been your favourite and why? :- I like the Series 2 – when Jamie wasn’t scouted for Hawkstone yet Dillon was, making Jamie work hard so he could try and play for Mike’s old club. If you could ask JJ one question, what would it be? :- How do you block out all the people who are saying you’re bad? Are you a big JJ fan or do you know one? They could be the next JJ Fan of the Month like Ryan! Email Dan at dan@danfreedman.co.uk! ← The September JJ Fan Of The Month is Dilan!